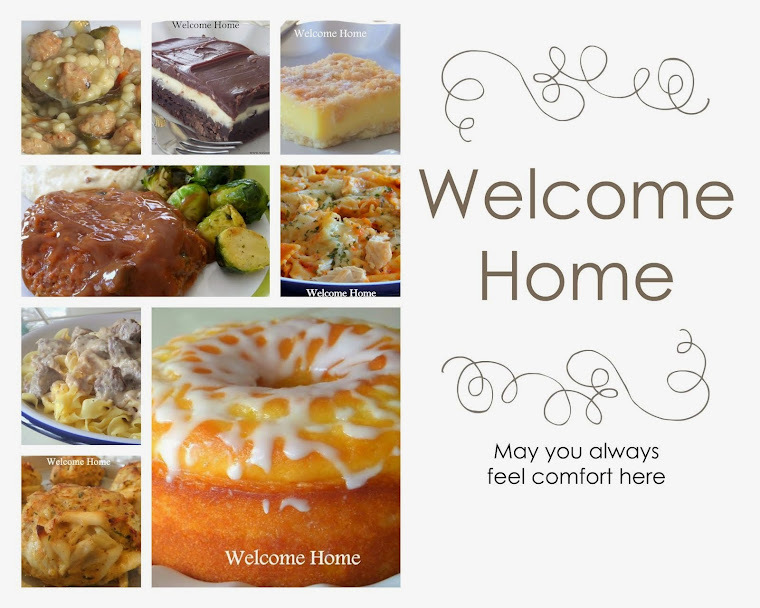 How could you not love a recipe that takes only 15 minutes to make…start to finish? What’s not to like about an incredibly delicious dish with tender succulent shrimp that's been cooked in a rich butter garlic sauce and then tossed with beautiful buttery pasta? What’s not to love about that? I love the taste of garlic in my scampi. 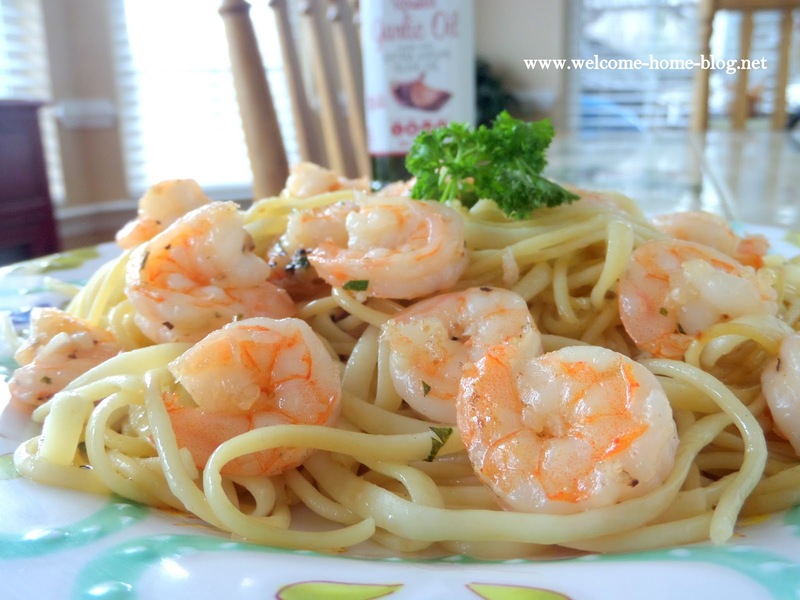 So many times you taste a lot of lemon but not the rich garlic flavor that Shrimp scampi is known for. 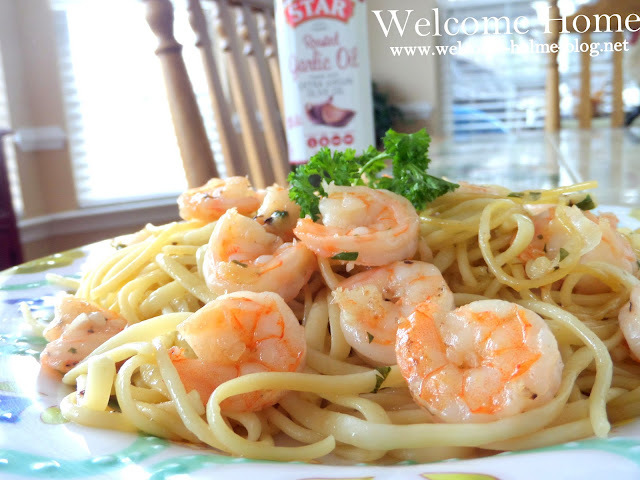 So, I only use Star Fine Foods Roasted Garlic Oil when I make my shrimp scampi....and what a difference it makes! Bring a large pot of water to a rolling boil, add about a tablespoon salt. Add your pasta and cook according to directions on the package. Remove from heat and drain very well. Return to pot (off the heat) and set aside. 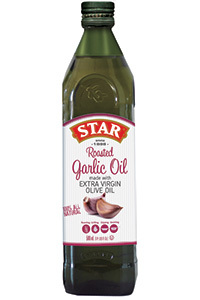 In a large skillet, melt butter and Roasted Garlic Olive oil over medium-high heat. Add garlic cloves and saute for about a minute. Add shrimp and salt and pepper and saute until shrimp turn pink on both sides. Be careful to not over cook your shrimp or they will become rubbery. Make sure you watch them carefully turning them until they just start to turn pink. 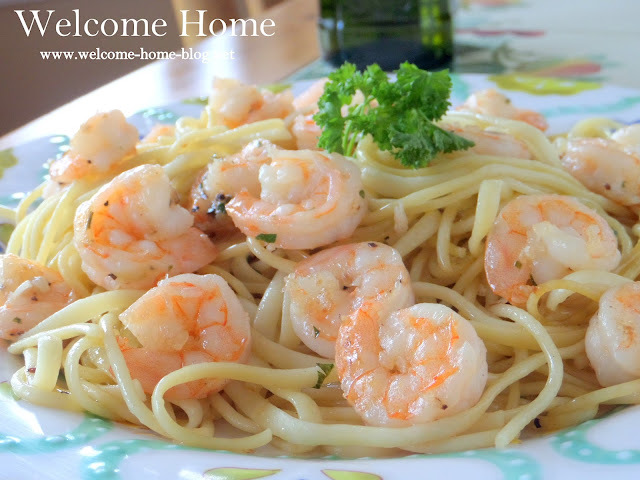 Turn off the heat and add your pasta to the skillet with the shrimp. Toss so that pasta is well coated. Add the lemon zest, lemon juice, and parsley and toss again. Taste for seasoning and add more if you like. If you are using red pepper flakes you can add it at this time. Serve warm with a salad and warm crusty bread. YUM!